The Bay of Plenty is an incredible region that excites, entertains and captivates and is one of New Zealand’s most popular holiday spots for both Kiwis and international visitors alike. Lying east of the Kaimai-Mamaku Ranges and south of the Coromandel Peninsula it is the perfect place for a family holiday with it’s beautiful harbours, long picturesque white surf beaches, friendly people and an easy going lifestyle. With some excellent surf spots, sun, sand, sea and a myriad of great places to eat and shop there will be no shortage of fun for all. Tauranga is a relatively young city, is the Bay of Plenty’s main centre and has one of New Zealand’s fastest growing populations. Blessed with a dazzling blue harbour and bathed in sunshine, Tauranga is the Bay of Plenty’s urban heart where you can enjoy world-class facilities and an enviable lifestyle. 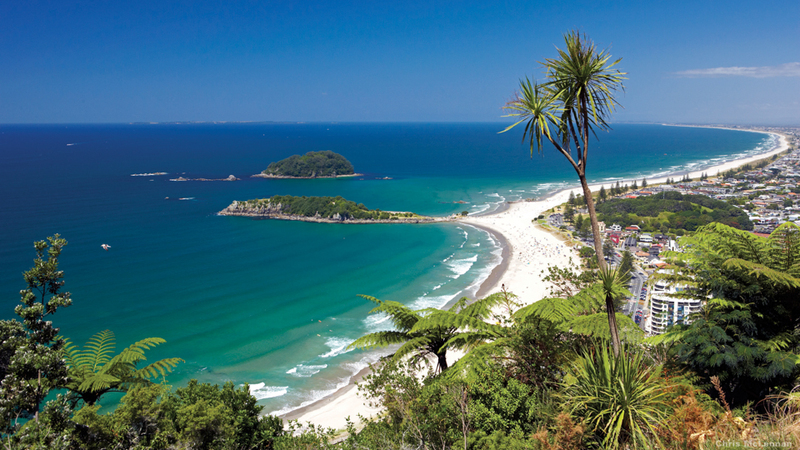 Tauranga harbour is a valued recreational haven, the town and headland of Mount Maunganui stand at the entrance to the harbour and it is among the best known beaches in the country. For local Maori the harbour is also a physical and spiritual symbol of their identity. From scuba diving and fishing charters to kayaking and surfing, experiencing the Bay of Plenty from the water is magical. Spend time exploring the islands, observing local marine life, from seals and birds to playful dolphins. 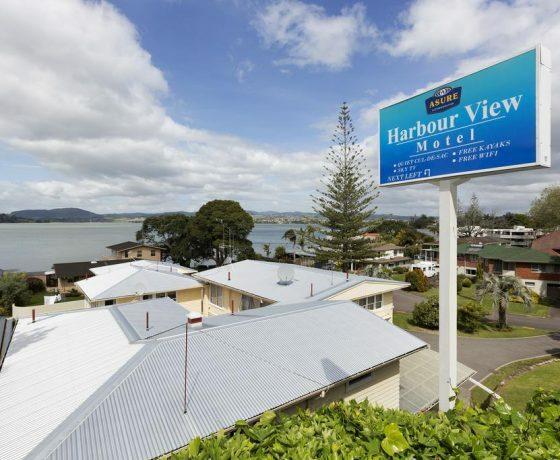 At the Southern end of Tauranga Harbour Mt Maunganui combines everything we love about summer with the luxuries of cosmopolitan life. A favourite holiday spot for Kiwis, this relaxed resort town offers a perfect mix of outdoor activities, relaxing hot pools, a charming high street, fresh, local produce and a vibrant art scene. Sample the farmers’ markets, delightful cafés and lively bars. At the very tip of the peninsula is a distinctive peak – Mauao – which rises to 230 metres above sea level. There’s a choice of tracks leading to the summit, some more challenging than others. 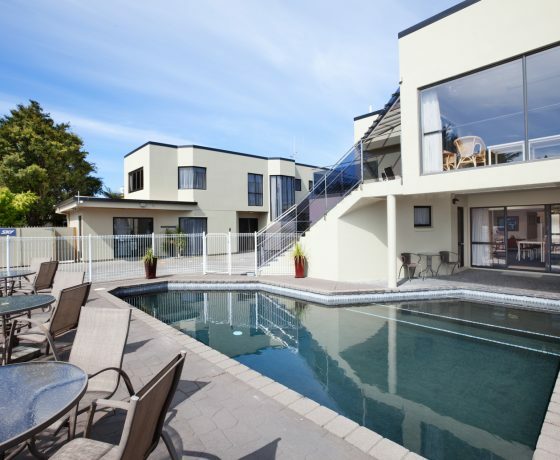 Huge views of the harbour, beach and Pacific Ocean make the effort totally worthwhile. You’ll create special memories here you will never forget. Whakatane overlooks the Pacific Ocean in the Eastern Bay of Plenty and is your gateway to Whakaari (White Island), New Zealand’s smoldering marine volcano. The town is famous for sunshine, big game fishing, marine sports and Maori culture. The town frequently records the highest sunshine hours annually and that golden glow is evident in the wide smiles and relaxed attitude of the locals you will come across during your stay. Another natural attraction of Whakatane is the nearby Te Urewera National Park, where you can walk, hunt, fish horse trek or go white-water rafting. But if lazing on the beach is more your style then there are plenty of gorgeous white-sand beaches to sink your toes into.